This biometric screening panel checks lab markers required by many biometric test programs. 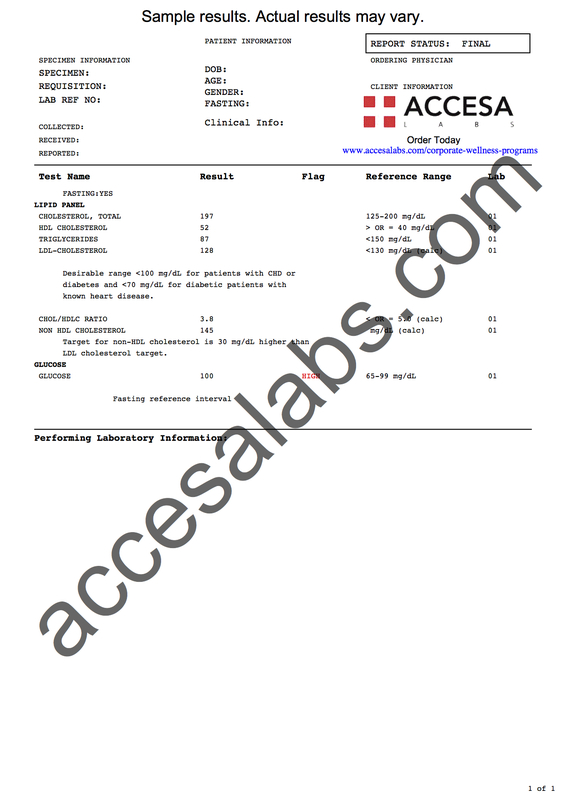 This biometric screening test panel consists of a blood test that checks the glucose and lipid panel. This Biometric Screening I is a blood test. The biometric screening I panel, sometimes referred to as biometric testing, consists of the glucose test and the lipid panel test. Biometric screenings have become increasingly popular by companies and organizations as a way to help employees stay healthy and reduce health costs. According to the CDC, a biometric screening is defined as "the measurement of physical characteristics such as height, weight, body mass index, blood pressure, blood cholesterol, blood glucose, and aerobic fitness tests that can be taken at the worksite and used as part of a workplace health assessment to benchmark and evaluate changes in employee health status over time." This biometric panel consists of the necessary lab tests required by most programs. To get the biometric screening test panel near you, simply order online and get tested at your selected Quest Diagnostics lab. Once your biometric screening results are available, they will be available for electronic download. For people who want more advanced biometric screening in addition to meeting the standard biometric testing requirements, the biometric screening II panel might be more appropriate. Biometric Screening I at Guaranteed Prices.